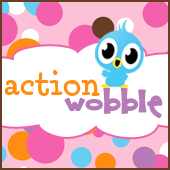 Action Wobbles: Happy Birthday Batman!! Good morning everyone! I hope this post finds you enjoying a beautiful summer day. Today I want to share with you another sweet card I made as a member of the Action Wobble Design Team! 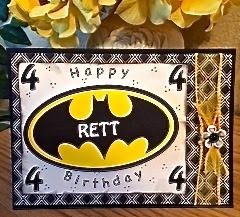 This card has a special home already and as it will be going to Rett, a sweet family friend, who will be celebrating his 4th birthday. This card is extra fun as it includes an Action Wobble under the Batman logo. Check Out This Masculine Birthday Card!! Wobble Wednesday - Wonderful Washi!